From Atmos Rx comes the latest innovation in wax pen design - the Atmos Kiln RA. This dab vaporizer is perfect for wax aficionados who like to use a wide range of materials, as its extra deep ceramic chamber can be used with concentrates of many different consistencies. When using any vaping device, the last thing that you want is for your experience to be ruined by combustion. If your material gets too hot and burns, you just won't get the benefits of vaping as opposed to traditional smoking, and the taste and smoothness of the vapor will suffer. The good news is that you can prevent combustion without compromising performance by making the Kiln RA by Atmos RX your pick of a portable wax pen for concentrates. Why is Kiln RA by Atmos so Unique? What makes the Atmos Kiln RA so unique is its ceramic disc heating technology. This revolutionary heating system warms up wax more evenly and holds its temperature optimally, virtually eliminating the risk of combustion that occurs with other wax pen units. The engineers at Atmos RX have managed to optimize the performance of the Atmos Kiln, so it reaches working temperature at a must faster pace than other dab pens with ceramic disc atomizers. Plus, this unit will give you larger cloud sizes than the competition, yet it doesn't come at a more expensive price! For heating, this wax vaporizer features a ceramic heating disc atomizer, which uses low, slow conduction to fully vaporize materials and give you potent, smooth vapor with a rich taste. The dual post system makes changing the coils a quick and simple task for effortless maintenance. An all-ceramic vapor path adds to the quality of the vapor. With all Atmos Kiln kits, you'll receive a 950 mAh lithium ion battery, a standard battery which has a spring loaded connector that allows for quick and easy attachments. If you will want to be able to adjust the working temperature of this vape, you can substitute a 5-watt to 13-watt variable voltage battery for the standard battery, giving you more flexibility to customize your sessions. Although this Atmos vaporizer is a cheaper model, its battery is made to last through countless charges. Its dual PCB/IC protection prevents overcharging and short circuiting to help the 950 mAh battery outlast those found in other similar wax vaporizers. The powerful battery will allow you to enjoy long sessions at home or on the go. With any Atmos Kiln or Kiln RA kit, you'll get everything you need to enjoy your vaping experience. These portable vaporizer pens come with a sturdy tool to aid with packing, and with rubber bands, replacement screws, and an allen wrench for maintenance. You'll also receive the Micro USB cord charger for connecting to your computer or USB charging hub for re-powering. The original, first edition of Kiln from Atmos was a new cutting-edge wax chamber attachment. Compatible with box mods and many other 510 threaded batteries, the original Kiln attachment allows you to turn your e-liquid mod into a powerful dab rig! Made with pure ceramic, the Kiln uses an advanced coilless ceramic disc designed to vaporize your favorite oily concentrates efficiently and evenly. This heating cartridge for the newer Atmos Klin RA features replaceable ceramic discs that are also wickless and coilless. Compatible with nearly all 510 threaded box mods and other batteries for ease of use. The chamber with advanced airflow technology maximizes efficiency when vaporizing and can easily be replaced via the dual connection system. The original Atmos Kiln vaporizer was at one point the latest device in the new wax pen - mod hybrid category. The Kiln is powerful enough to provide rig-like clouds for serious vaping enthusiasts, and small enough to carry with you anywhere your adventures will take you. The original Atmos Kiln utilizes ceramic disc atomizer which is free of exposed wicks and wires, that allows wax concentrates to heat slowly, and eliminates the burned taste often associated with lesser quality wax vaporizers. A heavy-duty 950mAh lithium-ion battery provides all the power you need for best performance, all in a very portable and compact kit. The second version, the Atmos Kiln RA vaporizer takes the original model to the new level by giving more control over your experience with the ability to replace atomizers. The dual post connection system is very unique to the RA version and is the feature that sets it apart from many other concentrate vaporizers. 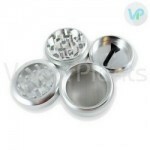 A ceramic heating disc on the bottom of the chamber provides maximum area for very efficient vaporization, anytime. Tyga the Rapper and his business venture Shine have teamed up with Atmos RX team to launch the Tyga x Shine Kiln RA Kits, high performance vapes for waxy oils. An improvement on the original Atmos Kiln attachment, this device features dual post system of its predecessor, but offers rebuild-able atomizers for a customizable vaping experience. Tyga has put upon the newest version, the Kiln RA vaporizer his personal touch, a combination of efficiency and style. The Tyga x Shine Kiln offers new reflective metallic finish in gold or silver which dazzles the eye, feels smooth to the touch, and always looks brand new due to its scratch-resistant surface. Express yourself with the Kiln RA Stylized limited edition series! The Atmos Kiln RA has built upon the original Kiln attachment by offering revolutionary rebuild-able atomizers to the wax attachment, and the Stylized Series now brings many uniquely vivid designs. Unlike others, the ceramic process used in the making of the Kiln RA Stylized Series is an old tradition passed down from generations, producing unrivaled durability and purity. The designs on the Stylized kits is scratch resistant, and can withstand high-temperatures without damaging its elegant designs. As other RA kits, these devices use powerful and portable 950mAh lithium-ion batteries, complete with dual PCB/IC protection in order to prevent overcharging and shortages. Maintaining great relationships with international manufacturing facilities ensures Atmos RX can offer line of exceptional products. Honest and genuine business practices of the whole Atmos team, aims to build long lasting relationships with their partners and customers. All Atmos Kiln products come with a five year limited warranty, allowing their customers to rest easy, knowing that every product made by Atmos RX is a smart choice, as each review received about their brand is listened to in order to make necessary improvements to all of the product lines. Unit, works ok, great warranty! Little dab rig - Review by Rafael J.
I looked at a lot of different products before settling on the Atmos KILN and I am glad that I choose this one. I love the way that it is portable but really well made and sturdy at the same time. It is really user friendly and is easy to operate. If you are familiar with handling wax, it is super simple to load as well. It hits like a dab rig. If you have a fresh wax chamber and pull for a while, you're going to cough, though. The Atmos KILN is really potent and strong like that. If you take smaller hits, the Atmos KILN could not be more portable if it tried. It is everything that I hoped for in a vaporizer and I recommend it to anyone. Impressed - Review by Rafael J.
I am an overall happy customer. I read a lot of reviews online before I committed and I am glad that this is the one I went with. Now that I can hold it and use it, I see that all of the reviews on the Atmos KILN were correct. I am impressed with both the high quality of the vapor as well as the abundant cloud production; each hit feels really satisfying and it tastes and smells great. I love to use the Atmos KILN at around 30 watts for low temp dabbing. Thanks for this awesome product. Small but sufficient - Review by Linda E.
When I unpacked the Atmos KILN, my first impression was excellent. I thought that I would I wish I had gotten the kiln vaporizer with more of a battery to it, but I didn't. 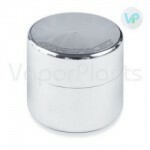 This vaporizer's battery might be small but it is more than sufficient. It is the best pen that I have ever owned. I will always be loyal to Atmos. Dabs well - Review by Chris H.
The Atmos KILN is my favorite vaporizer by far. Its ceramic makes for a very pure flavor and the material heats up evenly so I don't feel like I am wasting any of it. The kiln vaporizer simulates low temperature dabs really well and gives a great taste. It conserves the material. It is not the sturdiest vaporizer, though, and I have already had to replace mine twice. I will keep using it, though, because it is that good. Great investment - Review by Jessie S.
This is a great investment and one that I would recommend everyone who wants a high quality vape should make. Ceramic chamber - Review by Jessica M.
I love the ceramic chamber and how I can change out my atomizer instead of feeling the need to buy an entire other unit to change it out. 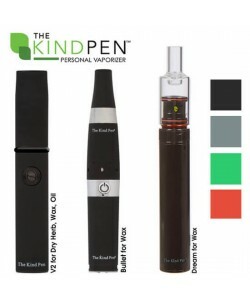 Compact and simple - Review by Jenny S.
The kiln vaporizer is everything I have ever hoped to get out of a vaporizer. It is discreet, compact and simple to use. Really great vape - Review by Allison O.
I just got my white Atmos KILN and figured I should leave a quick review. I had a black one that I am replacing because I love it that much. My white kiln vaporizer still works but I just had to have another. Really great vape that I would recommend to anyone. Simple to load - Review by Rodney C.
I checked out many different kinds of vaporizers before I decided to commit to this, and I'm really glad that this is what I chose. I love how sturdy it is and even though it is really small and portable and I can take it wherever I go, it is also lightweight and easy to tote around. This vaporizer is simple to load and lets off a potent cloud that tastes good but does not have a smell. This makes it ideal for vaping out in public. Favorite wax hitter - Review by Robert M.
Atmos Kiln looks nice and works just as well, turning this into one of my all time favorite vapes that I have ever owned. Clean hit - Review by John N.
Kiln Ra has a ceramic build that allows it to really heat up the material and conserve it so that I am not wasting any unnecessary money on my product only for it to get eaten up like some other vaporizers end up doing. Powerful - Review by Susan B. It is really nice looking and powerful. It is everything that I have ever hoped for when getting a vaporizer; compact, sleek and well worth the price. As advertised - Review by Dora W.
This Atmos Kiln does what it claims and works just as advertised which was a relief. Dense clouds - Review by Lillian E.
The vapor quality is excellent and provides me with a dense cloud every time. If I want smaller clouds, like when I am out in public, I simply take smaller hits. No matter which way I hit the Atmos Kiln RA, I can feel it right away it seems like. Champ - Review by Albert O.
Atmos Kiln hits like a champ and delivers really crisp and clean hits that I feel good taking. Super sleek - Review by Mary T.
This is definitely one of my top favorite vaporizers that I have ever used. It is super sleek and discreet so that I can take it wherever I want to go. Simple in use - Review by Robert P.
My favorite part is the portability of the Atmos Kiln. I can bring it with me virtually anywhere and never have to worry about turning any heads when I use it. It is really discreet and simple to use while out in public, not to mention that it heats up really quickly so I can vape whenever I want to. Consistent - Review by Erik K.
This is one of my new favorite additions to my collection. I have used it consistently for weeks now and every single hit I take still feels as nice and as satisfying as the first one that I ever took. Super discreet - Review by Christine R.
It is super discreet so that I can use the Atmos Kiln RA anywhere I want to use it. Surprised me - Review by Gary M.
Kiln Ra delivers a really clean hit that surprised me the first time. Carri P. - Review by Dabber D.
I recommend using Atmos Kiln Ra between 10 and 15 watts with any mod battery. Learning curve - Review by Frank D.
I will admit that there was a bit of a learning curve before I could really figure out what to do with it, but after I did, I decided that this was the only way I was going to vape again. Favorite new vape - Review by Jessica S.
I love the Atmos Kiln and it has quickly become my favorite new vape for concentrates. You are better off buying the RA and not the original. The reason is because the original cannot be taken apart to be cleaned while the RA can be taken apart to be cleaned. Unless you want to clean your Atmos Kiln after every use, then don't bother buying the RA model. Otherwise, get the RA.